Thomas R. Insel has served as the director of the National Institute of Mental Health (NIMH) since 2002, gaining respect as a leader who supports research that will help us understand, treat and even prevent mental disorders. During his tenure, major breakthroughs have been made in the areas of practical clinical trials, autism research and the role of genetics in mental illnesses. 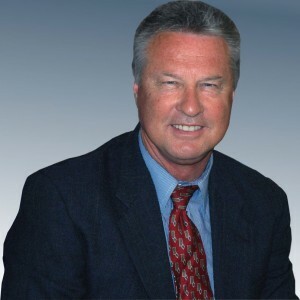 He recently shared his views on a variety of issues presented to him by Frank Burtnett, editor of ACAeNews for Mental Health, Community Agency and Private Practice Counselors. 1) What do the American Counseling Association and its 55,000 members need to do to increase NIMH’s recognition and support of licensed professional counselors? The National Institute of Mental Health is the federal agency investing in research on mental disorders. While our name suggests a primary interest in mental health, our mission is to transform the understanding and treatment of mental illnesses through basic and clinical research, paving the way for prevention, recovery and cure. I hope ACA members will be interested in the new NIMH Strategic Plan for Research to be released in March 2015. This plan focuses on strengthening the public health impact of NIMH-supported research. One of the keys to increasing impact is providing rigorous scientific information that is useful to patients and providers by responding to their specific needs. 2) Anxiety and depression are the two diagnoses licensed professional counselors, like all mental health providers, deal with most often. What current and future research efforts will we see from the NIMH on these two fronts? One of the insights from research funded over the past decade is the inadequacy of current diagnostic categories. While the current classification has been useful for providing a common language, it has not given us categories that appear valid in terms of causal mechanisms or treatment response. NIMH’s Research Domain Criteria, or RDoC, project attempts to bring the power of modern biology, cognitive science and sociocultural perspectives to the problems of mental illness, studied independently from the classification systems by which patients are currently grouped. While RDoC, for now, is a research framework, not a clinical tool, NIMH is already recommending that we shift our language away from some of the currently used labels. As one example, depression — which is now treated as a single category — may turn out to be many disorders with different mechanisms, requiring different treatments. In addition to transforming diagnostics, NIMH is looking at a new generation of treatments. The advent of new devices, mHealth (mobile health), cognitive training and social media will likely change the landscape of mental health care. I’d suggest two trends to watch. One is the empowerment of patients who will demand clinical excellence and will be sharing their experience on social media. The second is the need for our field to move beyond magic bullets, whether those bullets are medicines or psychotherapies. We need to help patients find network solutions – solutions that may be tailored more to their needs than to our skills. For most people with mental disorders, recovery will depend on a mix or a network of interventions, not a single modality of care or even a single provider. 3) Licensed professional counselors are positioned to improve public access to mental health treatment in the future. What can we do to galvanize our role in ensuring that access? Improving access is certainly important, but even more important is improving quality of care. While access has increased over the past two decades, we have not seen associated decreases in morbidity or mortality (suicides) from mental illness. The reason for this disconnect is probably complex, but one possibility is that quality of care has not been held to the same standards in our field as we expect for cardiovascular surgery or renal dialysis. Recent legislation mandates parity for mental health and physical health treatments, but do we have parity for the standards of quality? NIMH has supported an Institute of Medicine study of how to ensure the quality of psychosocial treatments. You should watch for this report, due by April 2015, which I expect will suggest some quality metrics that can be used to ensure that licensed professional counselors are delivering the same treatments that have been shown to be effective in rigorous clinical trials. 4) ACA members, a significant number of whom are clinicians in agencies, hospitals and private practice, appreciate your support in giving professional counseling a place at the policy generation and analysis table. What has ACAeNews for Mental Health, Community Agency and Private Practice Counselors not asked you that you want our members to know? One of the themes mentioned by President Obama in his State of the Union address was precision medicine. Precision medicine means getting the right treatment at the right time to the right person. As pointed out on the National Institutes of Health website, while significant advances in precision medicine have been made for select cancers, the practice is not currently in use for most disorders. 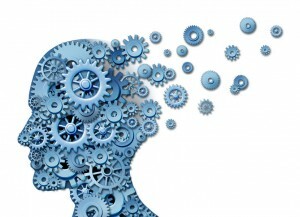 What does precision medicine mean for mental health? Our version is the RDoC project, mentioned above, which aims to develop more precise diagnostic categories based on biological, psychological and sociocultural variables. RDoC assumes that we will need many kinds of data to reach precision, much like triangulating to find one’s position on a map. These data will draw from many sources, including symptoms, genotype, physiology, cognitive assessment, family dynamics, environmental exposures and cultural background. Watch for the RDoC Discussion Forum, a soon-to-be-launched online platform where investigators and clinicians can converse and collaborate with each other around the RDoC framework in a virtual environment. This interview appeared originally in the March 2015 edition of ACAeNews for Mental Health, Community Agency and Private Practice Counselors. In the mid-1960s, Joseph Weizenbaum, a pioneer in computer science working at the Massachusetts Institute of Technology (MIT) artificial intelligence (AI) laboratory, developed a very simple computer program named ELIZA that was capable of having a conversation with a human being. ELIZA’s responses were programmed in a way that mimicked what might happen in a nondirective social interaction. On the A.L.I.C.E. AI Foundation website, Richard Wallace, a computer scientist, describes Weizenbaum’s astonishment at the responses to ELIZA: “Weizenbaum tells us that he was shocked by the experience of releasing ELIZA (also known as ‘Doctor’) to the nontechnical staff at the MIT AI laboratory. Secretaries and nontechnical administrative staff thought the machine was a ‘real’ therapist and spent hours revealing their personal problems to the program. When Weizenbaum informed his secretary that he, of course, had access to the logs of all the conversations, she reacted with outrage at this invasion of her privacy. Weizenbaum was shocked by this and similar incidents to find that such a simple program could so easily deceive a naïve user into revealing personal information.” Concerned by the response to ELIZA, Weizenbaum “shut down the early ELIZA program” because he saw it as a threat. More recently, Wallace developed A.L.I.C.E., another humanlike program that acts like a surrogate and can interact with users much like another human being would. A.L.I.C.E. (which stands for Artificial Linguistic Internet Computer Entity) is more advanced than ELIZA and is easily accessed online at alicebot.org/index.html. Human surrogate programs such as ELIZA and A.L.I.C.E. may currently be inadequate at replicating the complexity of human-to-human communication, especially when one’s mental health is at issue. But technological advancement certainly makes the development of human surrogate programs and other technologies worthy of the attention of counseling professionals. These advancements are already having significant effects on everyday life in developed countries. Incredible changes have taken place just within the past few decades. Between the 1970s and the present, a span of just over 40 years, computers have transformed from cumbersome and slow desktop machines to hand-held mobile devices that allow users access to an incredible amount of information instantaneously. Worldwide communications, both auditory and visual, now occur at the touch of a button on these devices. The extent of these changes is staggering, and we can assume that such changes will continue, likely affecting everyday human life in meaningful ways. 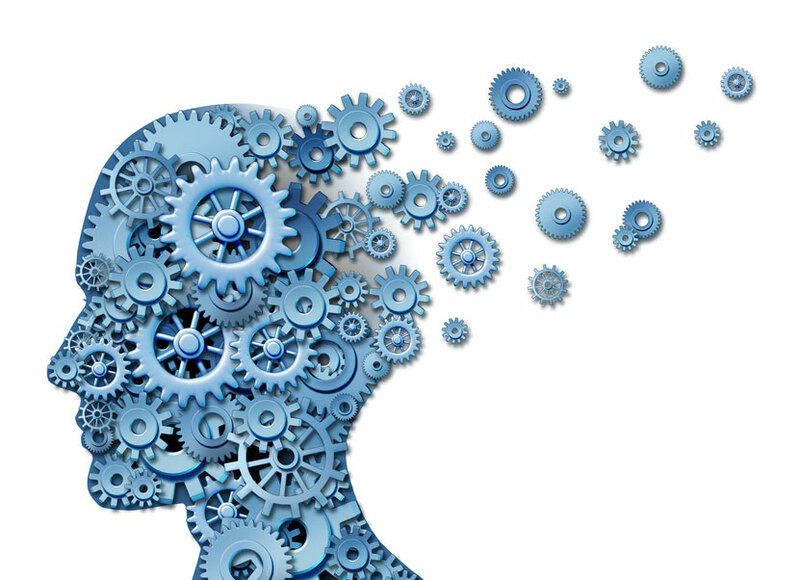 Technological advances may also drastically affect the mental health treatment enterprise. The technological “singularity” is a futuristic concept that has garnered the interest of many forward-thinking individuals. It is defined as the moment in time when artificial intelligence (the computational and information processing capacity of machines) will surpass human intelligence, as predicted by Ray Kurzweil in his 2005 book, The Singularity Is Near. At the singularity, computers will begin to solve problems faster than humans can. What’s more, computers will also be able to advance the technology necessary to make faster, more complex and more capable computers. Kurzweil anticipates that there will be an explosion in knowledge — an exponential growth of information processing and data analysis to the degree that computers may generate a consciousness of sorts that is equivalent to human consciousness. Vinge, like Kurzweil, predicted the singularity would occur early in the 21st century. Such predictions might be dismissed as the “stuff of science fiction” if some of its elements were not already happening. Kurzweil believed that by 2029, it might be possible to scan a human’s consciousness into a computer. When something akin to consciousness happens in machines, humans will be able to interact with computer-generated surrogates that can perform any number of functions — perhaps even counseling that addresses complex human problems — in a way that mimics the best of human capacity. It has taken approximately 120 years for counseling to evolve to the degree that large encompassing treatment frameworks are operative and identifiable. I defined these frameworks as “counseling paradigms” in my 2012 book Paradigms of Counseling and Psychotherapy. The field now acknowledges that individuals (physical and nonphysical), systems and even socially constructed truths may be treated through the interactive process defined as counseling. Initially, these professional frameworks emerged slowly, with the communication of information proceeding through paper and ink methods at the outset, and then through electronic media such as radio and television (movies and TV shows presented the counseling relationship). People began to realize that mental health was a valid concern, and mental health problems began to be recognized as legitimate targets for professional intervention. The vehicle for service delivery was the therapeutic relationship, a person-to-person live interaction in which problems were expressed, delineated and treated by means of communication between a client and a professional counselor. The possibility that the technological revolution will take counseling to the point of the singularity is a confounding possibility because it literally may change the rules. It would be equivalent to what is defined as a “second order change” (a change “outside the box”). Counseling may shift to a relationship between specially designed clinical technology and clients who access services via electronic media, meaning that the next counseling paradigm could be the techno-human counseling paradigm. 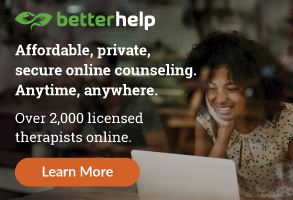 Counseling as protocol treatment accessed over electronic media: Currently, a simple Internet search of the term online counseling produces pages of websites offering such services for a fee. Appointments can be booked online. Skype sessions can be paid for by PayPal or any other form of credit. Some websites appear highly sophisticated and professional, whereas others appear poorly designed and seem to offer services more akin to quackery than professional counseling. 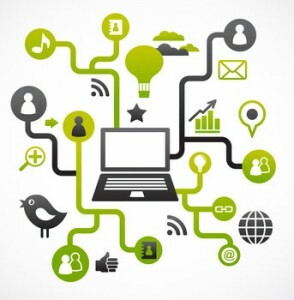 But as electronic media become more sophisticated, and as computers grow capable of addressing more complex questions through programming, the nature of treatment may change dramatically. Valid protocol treatments and counseling services might become easily accessible online. Any number of services to address any number of problems, from depression to victimization, may become available to clients in any part of the world. It is unlikely that counseling will continue to occur the “old-fashioned way.” In fact, the idea of an individual counselor providing face-to-face counseling may go by the wayside, except for concierge or boutique practices. In my view, it is more likely that counseling technological conglomerates — organizations designed to provide mental health services over media that are privately accessed by individuals — will provide the majority of counseling in the future. These conglomerates will probably devise means and methods to provide counseling by auditory or auditory/visual surrogates — in other words, computerized counselors programmed to address just about any issue that a person might encounter. It’s likely that the conglomerates will employ mental health professionals, statisticians, programmers, bookkeepers and website technicians. The routing that will occur in the future with these surrogates will be much more sophisticated than the routing that occurs currently when, for example, we encounter a computerized voice directing our telephone questions on matters of business or services (e.g., banking, telecommunications). Likely, these mental health surrogates will not only have answers to questions but will also be adept at responding to nonverbal cues and voice intonation. Routing options for any one problem will be exponential so that the program covers innumerable contingencies. 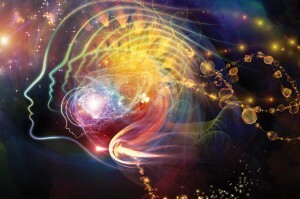 Creating peak experiences: Electronic stimulation of the brain through multisensory input will likely allow technologically enhanced highs that mimic what Abraham Maslow defined as a “peak experience.” Mapping of the brain and its functions will provide information that programmers can then use to produce sensory stimulation akin to that of spiritual, sexual and drug-induced highs. These experiences may then be used in narratives for defining an individual’s experience as groundbreaking, altering and transformative. On-site, real-time electronic instruction: Clients will be able to access instructions electronically in real time and in real-life situations. For example, a person who has social concerns will be able to follow cues from a smart device (an earphone or visual on a set of glasses/contact lenses) to handle challenging social circumstances in real time (as the encounter occurs). Computer-generated mentors will be able to guide individuals from moment to moment on their behaviors, thoughts, feelings and interactions, effectively serving as live feeds for personal guidance. These devices will likely be embedded in everyday outerwear and will not be observable. In the future, it is likely that counselors will be involved in assessment, with clients having initial contact with a live counselor at electronic portals. Or there might be physical centers (triage clinics or schools) where individuals go to have their problems explored and their issues assessed. Once problems are defined collaboratively, clients will likely be referred to exchanges to access services via electronic means. Counselors will no longer necessarily be needed to provide ongoing, face-to-face treatment. Instead, computerized surrogate counselors, programmed by protocol, will instruct clients on matters of relevance to the contracted counseling service and defined problems. For example, protocol treatments for conditions such as anxiety disorders or depression might be packaged and presented to clients. Career decision-making assistance will be provided in a similar manner. Guidance for addressing marital, family or other relationship problems will be available. Just about any social, vocational or psychological issue will be amenable to treatment through surrogates aligned with counseling technological conglomerates that compete for clients in the electronic marketplace. Highly trained counselors will be needed to serve as programmers and statisticians (or to work with others in these positions) to design credible and ethical means of electronic intervention for specified problems. These counselors will need some clinical savvy, and they will require training in assessing and evaluating the effectiveness of protocol treatments. 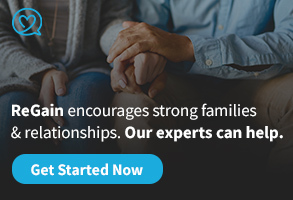 They will have to be experts in developing empirically supported approaches and, with the help of their computer “friends,” will have unlimited information at their disposal for both designing and assessing counseling services. The “whole” of human knowledge potentially will be digitized and accessible to counseling technological conglomerates. 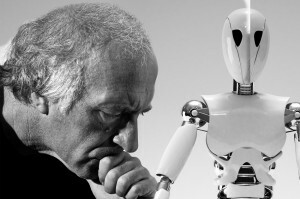 What will happen to the human element if essentially robotic or virtual surrogates take the place of live counselors? Some futurists doubt whether robots could ever replace the human capacity to think creatively and respond to all possible contingencies. Skeptics point out that, to date, there has been limited accomplishment even at the famed AI laboratory at MIT, where robots currently perform no more intelligently than insects. Yet even critics acknowledge that progress in this area is happening fast. And the development of nanotechnology may significantly advance the game. Nanotechnology is the mechanical manipulation of matter at the atomic or molecular level. Certainly, if robots cannot be made to fully mimic humans, perhaps humans can be made to mimic machines. The prospect of enhancing the human machine may redefine the human element. In effect, problems such as anxiety, autism, schizophrenia and other debilitating mental conditions may be treated not only by external means but also by internal organic modifications that affect the function of human cells and human behavior. Doctors would not be injecting pharmaceuticals; they would be injecting nanobots capable of modifying, enhancing and repairing human structure. Beyond the development of intelligent machines directing behavior, AI raises the question of machine-guided human modification, especially by nanotechnology. Counselors may be integral to any decision-making process involving whether an individual should undergo such modification or consent to treatments by machines designed to enhance human functioning (e.g., emotional, intellectual, perceptual or behavioral). Whether counselors are modified themselves may be a question of the limits of the human element. Practice: Practice obviously will vary by setting. School personnel, for example, will likely do triage — identifying clients’ concerns and then connecting those clients to the services of a counseling technological conglomerate that is paid for, and provided by, school or other agency funding. Career counselors may initially enter client data into service provider portals to facilitate decision-making. Rather than targeting systems or relationships or attending to client narratives, the techno-human counseling paradigm likely will return counseling (at least initially) to a focus on the individual, just as traditional face-to-face forms of therapy began. The focus on the individual might be psychomedical, meaning that conglomerate practices could employ medical professionals and mental health professionals to design protocol treatments for specific problems. Some treatments might involve medication as a primary or adjunctive treatment. For example, depression may be treated with medication in combination with surrogate counseling services using some standardized procedures, with differential treatment programmed into the service package depending on variables that emerge throughout the process. Payment will likely occur in electronic currencies not necessarily linked to classic currency. Electronic currencies will allow for a quick and easy transaction without the involvement of traditional banking and without banking or credit card fees. Transactions may be less traceable and more confidential. Counselor education: Counselor education is likely to be affected significantly. 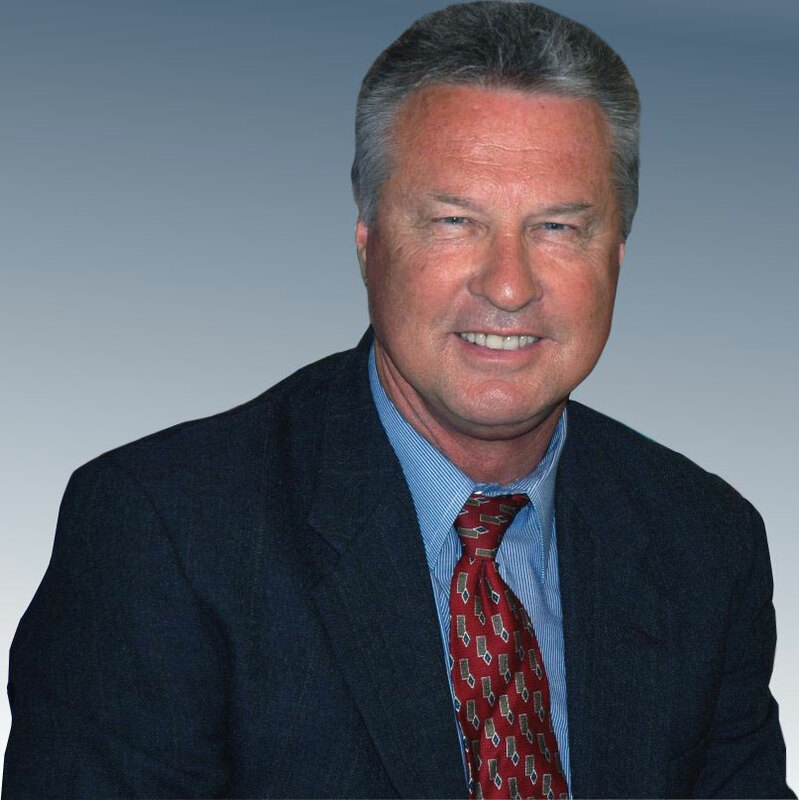 J.R. Suler of Rider University has been leading the embrace of Internet-based surrogate programs in teaching psychotherapy. 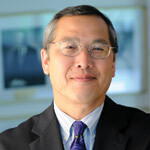 Not only has he introduced psychotherapy to students using programs such as ELIZA, but he has also attempted to answer a significant question: Can computers do psychotherapy all on their own with little or no assistance from a human? He answers by describing what he calls the “ultimate computerized psychotherapist,” a wish list of what an ideal program would entail, including a humble persona, reflectiveness, the ability to convey unconditional positive regard, the ability to facilitate cognitive restructuring and the capacity to convey universal truisms. 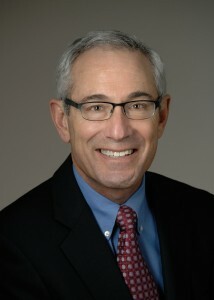 Suler’s work is basis for an argument that computerized psychotherapy is likely to expand and will need to be addressed in counselor education. As the teaching of counseling will doubtlessly change, the role of counselors and counselor educators will need to follow. Counselor educators will have to be able to train counselors to work with counseling technological conglomerates because larger network service providers may subsume the individual practice of counseling. The “live” counseling screening role may also become prominent because counselors will likely be front line in defining what interventions should be accessed electronically. Ethics and control: But who will “police” the conglomerates or other providers? Who will ensure that the services provided are safe, fair, ethical and actually translate to the user’s improved status on some criterion? The marketplace will likely be crowded by charlatans and quacks who advertise electronically and seek a quick return. A need will exist for ethical guidelines and some level of control over those who advertise professional credentials or offer services for a fee. As providers become corporate entities, the day when only individual professional counselors are “certified” may pass. It is hard to imagine that an isolated counselor will be capable of fulfilling the many roles necessary to provide competent and credible services over electronic media, including programming, statistics, clinical knowledge, accounting and website building/monitoring. There will likely be a need for professional organizations to certify counseling technological conglomerates as meeting high standards of professionalism and ethical practice. Credentialing of websites and electronic portals may become necessary, and it will be incumbent on professional associations to anticipate the needs of the public in this regard. If current professional associations do not keep pace with the changes deriving from technological advances, new organizations will emerge to fill the void. Those organizations may or may not have a connection to the long history of mental health practices that preceded them. Ethical standards will need to be stringent in requiring services that are empirically supported or otherwise effective on some outcome measure. Without measurable outcomes, counseling may deteriorate to friendly interchange at a cost, with only the influence of the technological relationship in effect. Whether the technological relationship will be as effective as the live therapeutic relationship in producing outcomes will be grist for the research mill. In 2008, a comprehensive review and meta-analysis of Internet-based psychotherapy by Azy Barak, Liat Hen, Meyran Boniel-Nissim and Na’ama Shapira, published in the Journal of Technology in Human Services, supported the use of Internet-based interventions. After reviewing 64 empirical articles covering the treatment of 9,764 clients, Barak and colleagues concluded that “the findings of this meta-analysis … provide strong support for the adoption of online psychological interventions as a legitimate therapeutic activity.” They wrote that a “comparison between face-to-face and Internet intervention as reported on in 14 of the studies revealed no differences in effectiveness.” On the basis of this meta-analysis, there appears to be empirical support for providing Internet-based interventions, although this is an area that likely will require further research. Providers will need to be held to the highest professional standard to ensure that services are delivered in a timely, cost-effective and just manner. Rules for billing, as well as means for addressing ethical or professional complaints, will have to be communicated to clients prior to a commitment to services. Professional associations may find the need to set up arbitration panels to address client complaints and concerns. State governments may be faced with licensing technological conglomerates to provide counseling services within state boundaries. Likewise, state governments might have to develop methods to police entities that provide such services from outside the state or even outside the country. A tax on counseling services could one day be instituted to provide monitoring and to support the establishment of mechanisms of control. Otherwise, unregulated services could endanger clients and the public welfare in general. In the meantime, standards of practice for face-to-face counseling by live, technologically unassisted or unaltered counselors could become obsolete. Regardless, the practice of counseling is likely to change drastically. Depending on one’s viewpoint, this futuristic portrayal of counseling in the age of intelligent machines may be either exciting or frightening. At this point, the technological singularity is only an ideal — a vision yet to be fulfilled. Regardless of the validity of the technological singularity, counseling services have already evolved to the point that some problems can effectively be addressed through electronic means. And, of course, a whole new set of ethical and professional problems arise as a result. 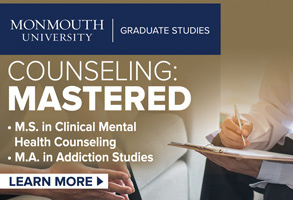 Unless counselors consider the possibility of further dramatic developments, the counseling profession may be relegated to the likes of ancient healers, with techniques surpassed by technologically advanced, efficient, ethical and effective methods. The techno-human counseling paradigm might emerge as a truly unique framework from which professional counselors can practice. It will be paradigmatic in that it will likely “change the rules of the game” of counseling, creating a new profession of sorts, because counselors will need to align with conglomerate practices to serve clients through an ever-changing, evolving and advancing technological medium. It is not easy to predict if or when the paradigm will be fully engaged, but there are hints to its emergence in present-day culture. People are becoming more attuned to, and more dependent on, technology in everyday living. Education and counseling are areas that will be amenable to modification using technology. It seems inevitable that counseling will be affected. Whether the technological singularity creates a world of artificial intelligence that surpasses human biological capacity is open to question, but professional counselors cannot assume that the counseling profession will be insulated in any way from such a development. R. Rocco Cottone is a professor in the Department of Counseling and Family Therapy at the University of Missouri-St. Louis. Contact him at cottone@umsl.edu. The Mandala Assessment Research Instrument (MARI) is a Jungian instrument based on symbols and colors that are chosen intuitively. When displayed on the developmental template of the Great Round, these symbols and colors reveal a visual picture of one’s psyche. Joan Kellogg developed MARI as an art therapy tool in the 1970s. An art therapist and researcher, Kellogg worked at the University of Maryland (UMD) at a time when many well-known therapists there were conducting groundbreaking psychological research. The therapeutic and transformative nonordinary states of expanded consciousness that started at UMD helped create a larger cartography of consciousness that ultimately culminated in the transpersonal perspective. Only recently has mainstream psychology begun to recognize how various aspects of this expanded vision of the human psyche can be used to help our clients. Advances in biological and psychological research have revealed four major influences that are changing the way we understand the human psyche and making it easier for therapists to really help their clients. 1) The evolutionary perspective: A new framework for psychology. In psychology’s infancy, both Sigmund Freud and Carl Jung sought to better understand the unconscious. Freud believed the unconscious was limited to the personal psyche, while Jung conceived that human beings naturally and biologically have access to a far greater collective consciousness. While it appears Jung anticipated the genetic connections that we all share, it wasn’t until the Human Genome Project was underway that we began to realize how deeply tied each one of us is to our personal and collective genetic heritages. In the absence of this important evolutionary perspective, it is no wonder that psychologists had difficulty comprehending many Jungian concepts, and even Jungians argued over the true meaning and function of archetypes. This new evolutionary perspective has had a profound influence on providing a framework of biological and psychological connectedness to ourselves, to others and to the collective conscious and unconscious. Today, we recognize that archetypes are to humans as instincts are to animals and continue to discover how this connection shapes and informs our physical, mental and emotional responses in myriad ways. 2) The interconnectedness of spirituality and psychology. The days when counseling students were taught to refer clients struggling with spiritual questions to their priest or minister are gone. Spiritual beliefs determine psychological beliefs, and vice versa, to the extent that it is almost impossible to separate their influence on each other. We now realize that spirituality and religion are not necessarily the same thing and, furthermore, that spirituality can be defined in many ways. On the most basic evolutionary levels, we know that human beings “have a tendency to create meaning,” which has been defined in countless ways as God, Wholeness, Infinite Intelligence, the Tao, Oneness, Core or the Jungian Self, with a capital S. Regardless of definition, it appears to be part of human nature to imagine “something” greater than ourselves. Furthermore, this spiritual tendency and how it is defined appears to be primary and often serves as a basis for psychological development. For this reason, we need comprehensive psychological instruments that enable us to view our clients in relation to this potentially conceived wholeness. 3) The primacy of the unconscious. In his article “The great deception,” psychologist Brent Atkinson states that we have been working with the wrong part of the brain for the past 50 years. Focusing only on the conscious brain, we have explored and created countless ways to engage and measure consciousness. The latest research, however, reveals that we “know” and have made decisions on an unconscious level before we “know” consciously. Atkinson uses an analogy from the movie My Big Fat Greek Wedding, in which the mother tells her daughter that the husband is the “head” of the house, but the wife is the neck, and the neck turns the head in any way it wants. The neck refers to the primary unconscious urges and impulses that turn the conscious head. We are now recognizing that we must engage clients on the unconscious level for real change to occur. 4) Greater understanding of how the body handles trauma. Peter Levine was among the first to recognize that responses to trauma go beyond fight or flight. He discovered that the body may also freeze in response to the trauma. All three responses, but especially freezing, often cause the trauma to be stored at the cellular level. The most interesting aspect of this new awareness is the recognition that, once evoked, the cellular-based conception of the trauma is in a changeable or malleable state. The days of re-experiencing the trauma in hopes that merely talking about it again and again would somehow help are over. Once the trauma is re-evoked, the subject must be provided with new and creative outlets so the trauma will no longer be resolidified on the cellular level in the same old way. Jung recognized years earlier that the drawn mandala was the ultimate tool for exploring the unconscious. Each mandala is completely subjective, however, and Kellogg dedicated her career to creating a system that would bring more objectivity to the process of interpreting mandalas. Her great aha moment was to recognize that various symbols are associated in the human mind with specific developmental stages of life, such as beginnings, struggle and full consciousness. An upward pointing triangle, for example, is almost always associated with a new beginning of some sort. Even the triangular shape of pyramids suggests the beginning of a new life in the next world. Because symbols predate language, culture and even time, they reflect an evolutionary, unconscious knowing that all human beings respond to in similar ways. Kellogg found the same thing to be true of color. There are universal responses to color that are similarly based on the evolutionary perspective. Jewel tone red, for example, is the color of blood. In the human mind, therefore, red is associated with the life force, passion, libido and strong feelings. One can only wonder if Kellogg anticipated all the new changes that would influence the field of psychology as she was creating the very tool for which counselors would be searching 40 years later. The Great Round, as it is known today, can be divided in half horizontally. Our brains have a tendency to consider that which is above the horizon — an invisible line drawn between Stage 4 (9:00) and Stage 10 (3:00) — as more “conscious,” “known” or “in the world.” Psychic information that is below the horizon is perceived as more internal, unconscious and related to the countless body-mind systems that function adaptively below the threshold of conscious awareness. Like Jung, Kellogg imagined the center of the Great Round as the place where the conscious, orienting individual feels himself or herself to be. In many cultural and spiritual traditions, the center is conceived as the dwelling place, both of the gods and humans. Neurologically, we process forward movement from left to right, in the same way that the sun moves across the sky in the Northern Hemisphere. The developmental stages begin with Stage 1, at the bottom, and continue clockwise. Each of the 13 stages of the Great Round has three symbols, each representing variations of that stage. Both Jung and Kellogg recognized that symbols have existed for millions of years in our collective conscious and unconscious psyches and typically evoke specific intuitive responses. Each symbol can also serve as a “transcendent function” that unites known with unknown elements and points to something more than the consciousness can know. The symbol cards for the Great Round are clear plastic, the size of playing cards, on which each different symbol is printed in black. Knowing where the symbols reside at each developmental stage would negate a person’s intuitive response, so the symbols are never shown at their correct stages. To give the reader some insight into the instrument, however, Stage 4 (Beginnings) provides several good examples. The client who chooses an upward pointing triangle at Stage 4 is involved in a new beginning and is typically “ready to go.” However, the client may also choose a symbol at Stage 4 that looks like a comma or embryonic shape. Although this symbol is also associated with beginnings, it suggests that, like the embryo, this client may need help or support to actually begin. Kellogg also realized that, just as with symbols, our responses to colors are intuitive, timeless and universal. She used the chakra system of color because she felt it viewed the body of man as a teaching guide that reflected specific types of energy for the emotional and physical well-being of the individual. Immersing herself in both medical science and the science of color, Kellogg developed a color system that eventually contained 45 color cards. These cards have almost universal application and represent the primary colors as well as their lighter and darker hues. The color cards, which are the same size as the symbol cards, are designed to enhance the symbol with additional dimensions when placed behind and showing through the clear symbol card. Color adds dimensions to the symbol that may be emotional, physical, cognitive or spiritual in nature. Kellogg intuited that a 13th stage begged addition to the center of the Great Round. This stage, known as Stage 0, contains symbols that human beings have used, historically and cross-culturally, when they conceive of something greater than themselves. Because of the various words and variations around this topic (for example, Wholeness, the Self, God, etc. ), scholars suggest that symbols are indeed the best way to represent divinity in the human mind. Stage 0 serves to anchor MARI in a context of wholeness. It not only stands alone as its own unique stage but also informs every other stage. Stage 0 serves to bring a spiritual or transpersonal element to MARI. After having clients complete a drawn mandala, all 39 symbols are presented to them. The symbols are displayed with correct orientation but in random order on a white background. The subjects are asked to allow themselves to be drawn to six symbols that they like or are most attracted to. Our response to symbols is not arbitrary. We will be drawn again and again to symbols that currently reflect what is going on, or is primary, in our lives at the time. The subjects are also directed to allow themselves to be drawn to one symbol that they dislike or are least attracted to. The final step of the process is to ask the subjects to think of an issue in their lives with which they would like help or guidance. They are told not to share the issue but to imagine completing a sentence such as “Help or guidance for _____ (fill in the blank)” in their mind. While repeating this sentence to themselves, they are directed to allow themselves to be drawn to two symbols that seem to represent the help or guidance of which they are thinking. The Great Round is then presented and explained to the individual client so that he or she has an understanding of the context when the symbol and color pairs are placed on this template. The Great Round literally reveals a gestalt or “picture” of one’s psyche, reflecting both conscious and unconscious aspects, when the chosen symbol and color pairs are placed at their corresponding stages. The six symbol and color pairs that the client “liked” are presented first, typically with the most positive aspects discussed first. Now that psychology has an expanded framework and greater understanding of the psyche, we are realizing that clients are often far more ready to heal than we previously believed. According to Jung, the totality of consciousness is composed of four aspects: thinking, feeling, sensing and intuiting. The typical counseling session involves only thinking and feeling. With MARI, however, the intuiting function is activated when clients choose their symbols and colors. Most importantly, the sensing function — the fact that clients literally see their strengths and issues within a context of life’s cyclical nature — allows for change to occur very easily and rapidly. MARI is based on the cyclical nature of life, representing change and growth. In the same way an oak tree starts as an acorn growing underground, enters the world as a sapling, lays down rings of protection to strengthen it and, in time, becomes a fully mature tree, we assume that the psyche is similarly constantly evolving. Each time that we traverse the Great Round, our awareness is changed and we know or sense things at a deeper level than before. The cyclical nature of MARI is based on the premise that healing can occur naturally if given the opportunity. The psyche does not want to be maintained on medication so that it can better endure its struggle. Seeing their issues and strengths within a context of change allows clients to place their struggles and traumas within a natural context of cyclical growth. MARI is projective, objective and connective. It is projective in that the subject responds on an intuitive level to symbols and colors. It is objective because right below the threshold of consciousness is a body of collective knowledge, associations and possible meanings that are associated with each symbol, stage and color. It is connective in that the subject’s choices unconsciously reflect what is primary in his or her psyche at the time. Our choices of symbols and colors reflect an uncensored picture of how we feel about what is going on in our lives and reveal our issues and strengths. Card choices at the various stages reflect the possible meanings associated with that developmental cycle of life. For example, Stage 5 (Target) speaks to our need to protect ourselves, like the rings of protection of the oak tree, as we are learning how to assert ourselves. There is a sense of completion and closure at Stage 12 (Transformation), which is a final stage before we begin to anticipate the next step that ultimately will lead to a new beginning. Each stage has its own unique attributes, strengths and possible weaknesses. At Stage 5, for example, have we chosen a symbol that reflects discomfort and very little room to breathe, or have we chosen a symbol that points to possible resolution? Color brings additional information about the stage. Color can indicate healing or heaviness, comfort or discomfort and many other possible meanings. Furthermore, each symbol can be chosen as a like, dislike or guidance card. MARI reflects the evolutionary perspective. Because we have an intuitive and unconscious response to symbols and colors, the client does not feel threatened in any way and often enjoys the experience. There is no sensed need to erect the conscious filters of the ego, which could potentially hide one’s issues or mask one’s true self. Jung frequently stated that “the psyche will not tolerate self-deception.” For this reason, we are always drawn to symbols and colors that reflect what is going on in our lives. Even when directed to think of an issue in their lives with which they would like help or guidance, clients are told that they never have to share this issue. For this reason, clients feel comfortable and in complete control. They are unaware that, like an X-ray, their symbol and color choices are highly revealing. Furthermore, MARI practitioners are trained to understand that just because they see their clients’ issues and defenses doesn’t mean that they immediately have to share what they see. Instead, they can choose to wait until the appropriate time in the counseling process to share. MARI is based in wholeness. Therapists who are tired of the clinical and objective approach with clients that seems never to get to the important and meaningful bottom lines are often drawn to MARI because it is as “deep” as the client is deep and reveals the philosophical and spiritual issues with which the client is grappling. MARI even allows for a distinction between true spirituality and religion, which may or may not provide a sense of wholeness. These symbols may be chosen as “like” cards, reflecting that the subject is in touch with his or her own wholeness. The Dalai Lama’s monks, for example, who view this stage as “detachment,” almost always chose Stage 0 as an integral part of themselves, while many Catholic nuns, who see themselves as separate from — and often married to — their creator, appear to be unable to choose this stage. Stage 0 can also be chosen as a “dislike.” For example, a 70-year-old single woman suffering from paranoia may choose this stage as a dislike symbol with the color black. When given feedback about a possible heavy and difficult spiritual connection, she readily agrees that God is punishing her by making her neighbor spy on her and control her life. The unconscious is primary and reveals a wealth of information. According to Jung, the unconscious is a common psychic basis that all humans share, just as they share a common anatomical structure. He conceived of the unconscious as the “matrix mind” — the birthplace of all thought forms. Furthermore, according to Jung, the unconscious mind maintains homeostasis, the principle of self-regulation, which in the normal psyche has the capacity to heal itself. The unconscious also provides for adaptation, revealing that the psyche is in constant search of its own fulfillment in life. MARI can enable the body to release trauma. The life-preserving measure of freezing the trauma in the cells enables a person to cope, but the energy that is contained must be released at some point. For this reason, it is important that clients be given an opportunity to “do something” that allows for somatic experiencing, which can lead to a renegotiation with the experience of the trauma. Levine states that every trauma provides an opportunity for authentic transformation. Various stimuli that evoke the memory can serve as impetus to put the subject’s cellular awareness in a changeable or malleable state, which, according to new research by Jill Neimark, may last as long as six hours. Because MARI can be used as a therapeutic tool, it provides nonthreatening opportunities for change on the unconscious, cellular level. The subject almost always knows exactly what is being referred to and, for this reason (even beyond allowing the client to maintain his or her own autonomy), it really isn’t necessary to share the issue. The client is then given the opportunity to choose and introduce a new color (which represents a new feeling, perspective or perception in relation to the issue) under the symbol but above the old color, like a sandwich. The client is asked to insert the new color under the symbol to the extent that he or she feels comfortable. The opportunity to literally change the original visual picture of the MARI by bringing in new symbols and colors appears to further reinforce the new changes and strengthen the client’s psyche. Both the mandala and the MARI scoring sheet can be given to the client or copied and kept to be presented later as a visual representation of how the client has progressed in the healing process. Editor’s note: To see images of the Great Round and other symbols the author references in this article, refer to the April issue of Counseling Today (pages 41 to 47). Michele Takei is the owner of MARI and president of MARI Creative Resources in Raleigh, North Carolina. Contact her at mari4info@gmail.com. down the work I needed to do. And then I saw my dogs romping, running, eating and thoroughly enjoying the snow. All it took was a reframe! I am asking all of you to consider a reframe as well. April is Counseling Awareness Month, when we let our communities, public policymakers, the media and others know about the good work of professional counselors. This is one of the rare times when it really is all about you. Counseling Awareness Month is a time to educate the public about the counseling profession and its many contributions to society. Please engage your colleagues or your graduate students in taking pride in the counseling profession. Celebrate the good work of professional counselors and let others know about the important work that you and your colleagues do. ACA has been hard at work arranging media coverage for this exciting month. Watch your emails, the ACA homepage (counseling.org) and ACA social media channels (American Counseling Association on Facebook and @CounselingViews on Twitter) for links and highlights. Request and display your free ACA Counselors Care car magnet. Spread the word about Counseling Awareness Month by downloading and sharing ACA’s media tips for members, general Counseling Awareness Month information, a professional counseling fact sheet, colorful counseling infographics and more. Enter ACA’s 2015 Public Outreach Contest for a chance to win a full registration to the ACA 2016 Conference & Expo in Montreal (March 31–April 3, 2016). 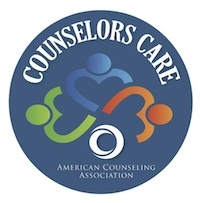 Take a photo for ACA’s social media campaign and post it to your personal accounts using hashtag #CounselorsCare. Order modern ACA merchandise to showcase your counseling pride this month and throughout the year. More details and instructions are available at counseling.org/CAM2015. At ACA, we remain committed to spreading the word about professional counseling and its incredibly positive impact on society. In February, we organized a congressional briefing for Hill staffers to explain the critical role that professional school counselors play in the social and emotional development of young people and how this affects their college and career readiness. In the past few years, we have also increased our media exposure on behalf of the profession, leading to radio, TV and print interviews. We continue partnering with organizations that promote and support the work of professional counselors, including the Human Rights Campaign, the first lady’s Reach Higher initiative and the Substance Abuse and Mental Health Services Administration’s Voice Awards. Our goal is to continue raising awareness, but we can’t do it alone. That is why I am appealing to you to participate not just this month but throughout the year. I know you are busy and that it can be challenging to do anything other than your specific job. I also realize that you need a break every now and then. This was quite evident by the more than 3,200 attendees at last month’s ACA Conference & Expo in Orlando. If you were there, I hope that the conference helped to reenergize you. We want to continue creating events in which our members and other professional counselors get a chance to come together. In June, we are taking our show “on the road” as we convene our first ever ACA Asia Pacific Counseling Conference in Singapore. Happy Counseling Awareness Month to you and your colleagues! licensure portability. It is my belief that having a consensus identity is not only important for counselor licensure portability but also essential to the future and sustainability of the counseling profession. A clear understanding of counselor identity is the vehicle that can unite and sustain the profession of counseling. Intentional collaboration, the theme of this presidential year, focuses on the counselor identity of practicing counselors, students, new professionals, counselor educators and counselor preparation programs. Through the 20/20: A Vision for the Future of Counseling initiative, ACA and the representative delegates have taken the lead in strengthening our profession by establishing a consensus definition of counseling. ACA continues to collaborate with the American Association of State Counseling Boards, the Council for Accreditation of Counseling and Related Educational Programs, the National Board for Certified Counselors and sister professional organizations to further enhance our profession. The definition of counseling in large part states who we are while also highlighting how counseling differs from other professional groups. The following words and phrases from the definition of counseling punctuate who we are and what we emphasize: “a professional relationship that empowers diverse individuals, families and groups to accomplish mental health, wellness, education and career goals.” We are proud of the bedrock principles of the counseling profession that emphasize: the relationship in working with others, prevention as well as remediation, wellness, the normal human development process and health rather than pathology. 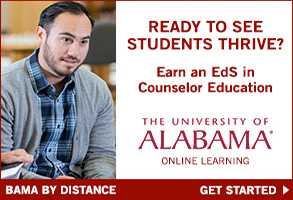 Do you proudly introduce yourself as a professional counselor, counseling student or counselor educator? Are you a member of professional counseling associations such as ACA, the divisions of ACA and state organizations? Do you participate, attend conferences and present? Are you aware of, and do you adhere to, the ACA Code of Ethics? 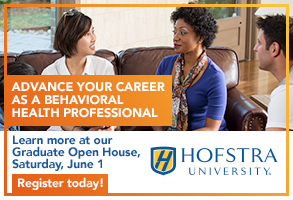 Are you seeking or have you obtained counselor licensure or certification? Do you read professional counseling journals or publish in counseling journals? Do you advocate for individuals and groups of individuals, as well as for counselors, at the state, national or local level? Are you aware of the history of the counseling profession and how it differs from that of other professional groups? As a way of becoming more involved in and informed about our profession, it might be interesting to discuss some of those questions with your colleagues or fellow students. ACA professional staff, elected leaders, members and related stakeholders are currently discussing the numerous listings that cite indicators of professional counselor identity. I look forward to a consensus of indicators in the near future as we continue to strengthen the counseling profession.